The official site, and some details here. They are posted on the official page. 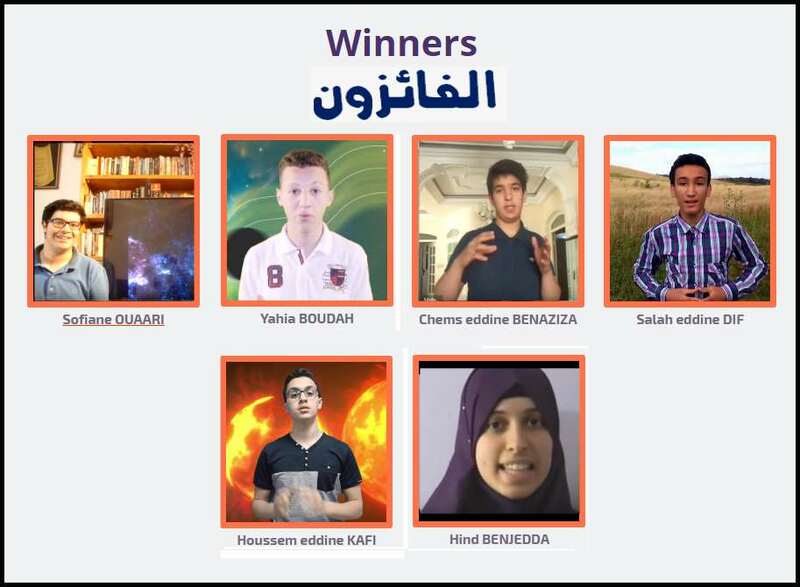 Congratulation to those 14 finalists who will be contacted or their parents (No need to speak English though ) by the US Embassy in Algiers for an interview (In English) with our jury at Algiers on the 27th of June. Congratulation also to all those valiant candidates who participated to this Race even if you couldn't win the Moon ("Décrocher la Lune"...) ... we mean Hunstville. Here are some details on the 14 Algerian finalists in the order they came out after the averaging, and also how the jury proceeded to work. All this in keeping with our policy of full transparency and openess. Important note: Due to various internal reasons, although the online voting will end on the 15th of June and the interview be conducted on the 27th for the 12+2 selected candidates (Algerian finalists), the final announcement won't take place before the 30th of June for both Algeria and Morocco. 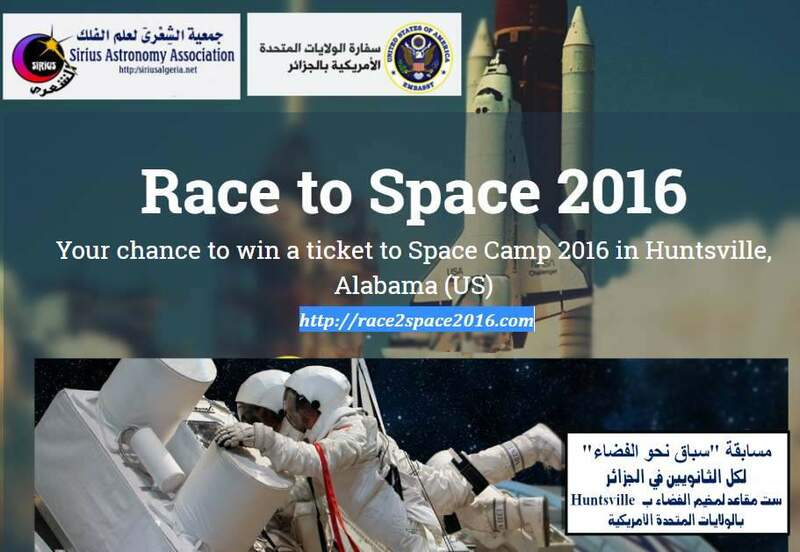 The Sirius Astronomy Associations is the organizer of the contest in close coordination with the US Embassy at Algiers which is the sponsor and which is supervising its overall conduct. Morocco through the " Moroccan Scientific Community " is doing likewise. The site is the work of our partner and it is by all standards a great piece of work. We also congratulate them for their great scientific site that every science loving person should visit. We believe that working hand in hand as two associations united in common goals, namely bringing the scientific culture to our peoples, is a way of building bridges for better regional cooperation. Sirius is conducting the contest in full transparency with no bias towards any category of candidates or region of the country. Indeed our jury is national and made of professionals with members coming from the three main geographical regions, namely Algiers, Oran, and Constantine, and all the decisions are taken by consensus through email exchange and video conferences whenever needed. All the documents produced by the jury, notably the jury's deliberations, are forwarded to our instititional partners for full transparency and openeness. There were 210 videos to evaluate which were viable and unfortunately (fortunately for the jury!) one hundred or so more videos who were directing us to a dead link or were private and thus couldn't be evaluated. It was an herculean task for the 5 members jury to do so in a one week period during a very busy time of the year. We couldn't have all the jury members review all the works and so we distributed randomly the videos among us so that each candidate would be evaluated three times before doing the averaging. Furthermore, when discrepancy on the notes for a candidate was too great, we resolved to have a fourth independent evaluation and averaged the four notes. We adopted four criteria, each with a weight of 1/4. It would be too long to explicit here the way each criterion was detailed. The Moroccan jury had another more elaborate set of criteria. No grading is perfect but we believe that our work reflects as much as possible the scientific value of the various submitted videos. In view of the perceived problem of the lack of scientificity of the evaluation process based on online voting (See the discusion below), we in Algeria, in a unanimous jury's decision will take into account the jury's choice (by a 50% factor) in the selection of the 12 finalists which we believe mitigates some negative effect of the online voting. We mean by jury's choice the ranking already obtained when choosing the 25 candidates and not one from another voting by the jury. We will also allow in a very limited way for some "hors quota" candidates who were ranking among the top in the jury's selection but that very few are voting for them because they might have been too young students and seemingly with no "family support", and who ended up after one week of online voting with a mere 10-15 votes. This is a fairness rule ("Adl" عدل) that we felt strongly on implementing. We have no manpower to inquire about all the cases or to respond to all the inquiries, but as many of you have been already doing, we welcome inquiries or any observation you might feel worthy to bring to our attention at our Association's email. Cases of Plagiarized Work In view of the zero tolerance policy for plagiarized works, we had to remove quite few cases of too outlandish "borrowing" which reached in some cases 90% of the script or the video, much beyond what is allowed under the rule of fair use of copyrighted material, and with no reference to the original source. We feel sorry that appropriate instructions haven't been properly given to the candidates before hand, although it should be common knowledge, and for that reason we were tolerant for cases not too extreme. This took place before the selection of the semi finalists, and unfortunately after the selection too and involves even some top ranking candidates. We are now at the stage of online voting. It appeared, as we long suspected, that it was an exercise in "duplicity", in a way that only Internet can allow. An operation undoubtedly well meant in the first place, namely to gather public support, but which may end up hurting the science aspect. We saw in social media pathetic appeals of some candidates to garnish support through institutional and large media outlets, calling to vote for his and his only video. This we believe is defeating the purpose of the online voting and is unfair to the other candidates. We will thus allow in a very limited way for some "hors quota" candidates who were ranking among the top in the jury's selection but that very few are voting for them because they might have been too young students and seemingly with no "family support", and who ended up after one week of online voting with a mere 10-15 votes. It might also be that some out of modesty, wouldn't advertise about themselves (Leading sometime to boast about himself...), which is after all quite an Islamic quality. Now what about the "nightmare" scenario, which actually could easily happen or may have happened, where the top ranking candidate doesnt make it as a finalist due to this "Ghachi" rule? There would certainly be some of us who will have some conscience problem. Finally, we feel strongly that the initial purpose of the on-line voting, namely to make people vote for the best candidates is defeated by the fact for most visitors of the site have only one item in their agenda: voting for a given candidate without even sometime visualizing his video, much less the other videos (See below "The Smoking Gun" for some proof on that). Is giving such a big role to the public to judge scientific videos reasonable? The fact is that the public can only judge on emotions or on acquaintances, and that's not acceptable for a science contest. The responsibility of the jury is to judge upon merit, scientificity, in addition of course to the good taste and other accessory factors (See the evaluation criteria above) ... If it was about judging a song, an artistic performance, or a beauty show or what not, we would agree that the public's choice must be held supreme and we would ourselves as a jury fade away in the shadow as the public is always right on those things... But again, the problem is that it is not a popularity contest but a science contest and it shouldn't end up becoming a contest about who is better connected or have some strong family support. The messages used to garner support are also too ego-centered to our taste. Furthermore, as we make it plain below, it is not really the "public's choice". Here are some characteristic examples of the abuse of the system, among so many others. 1- A professional in Algeria "using" his facebook page to muster support for two specific candidates that happen to be his acquaintances, not even mentioning that others worthy candidates exist and that they should check their videos too. Another one is an Algerian University professor making a campaign for his son on a professional network. Another one yet, used a site with a large number of members (Like "I believe in Science" below) to advertise his video with a "vote for me" message. Not surprisingly, his number of votes exploded and his ranking shoot up. Or why another top ranking candidate is top ranking? Because she found "le bon filon", namely a TV channel (Chouf-TV)to convey her message with a 1.8k shares with the link leading not to the Race To Space site, but to the candidate's video! Then look at the subtelty of the message where it says that the Embassies of two countries are organizing it and thus as if it is a race between those two countries (Nothing about the other 24 competing candidates from the same country! ), so choose well. In another case, a now top ranking candidate has been tapping in another large network, namely Magrib.ann, to reach this astronomical score of 7000+ and growing. Using personal facebook pages to advertise about oneself is fine, but using institutional or semi-instititional social media to do that is a violation of the implicit rules of good conduct and very unfair to the other candidates. May be the allowed conduct in those cases is that the link should refer to the Race to Space site and not to the specific video of a candidate. 2- We saw a candidate ranking 24th on the jury's ranking (Algerian side), that is at the limit of the 25 quota, but who is top ranking in the "popularity" contest. 3- A candidate (on the Algerian side) whose number of votes was the lowest (One single vote for two days while the top ranking one was at 300 votes) and which in three days had her score shoot up to be among the top six (with close to 500 votes). Was she sleepy and suddenly woke up, or was it her friends who woke up in the mean time? It looks like behind every top ranking candidate there is a "trick", and it has not much to do with the science aspect of the video! In fact the message is almost never "look at my video" but rather "vote for me"! This lack of fairness and equity for all is profoundly disturbing. On the other hand, the lack of clear rules is what makes the behaviour hard to blame too strongly: If every mean is allowed (Save outright cheating), then why not using the "heaviest mean" available (TV or radio network which reaches the largest possible audience) if the goal is to reach the top ranking. This problem will have to be addressed in the future. This is why we decided not to reprimand any Algerian candidate although we have engaged in discussion with some of the ones with too problematic cases. We will thus use the ranking exactly as it stands in the 50% online voting factor but will allow for "hors quota" candidates for the interviews for those few not "well connected" but with top ranking in the jury's evaluation as a fairness rule. 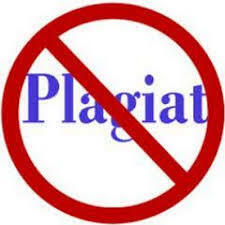 Yet Plagiarized works, even among the top ranking candidates, have been eliminated from the race. It is the case of a candidate (Algerian side) whose video was suppressed by Youtube for alleged copyright infringement (Before being reestablished by Youtube), yet during the half a day interruption of the viewing, his "missing" video could gather 100 more votes! Then one candidate which happens to be known by one of our jury member, when realizing what online voting phase entails, felt greatly annoyed to say the least by this system which obliges him, having finished laboriously his year, to start his "electoral campaign" and "work" on his public during this hot month of Ramadan! Now what all those "skills" have to do with a science contest? Such "miracles" shows that the voting has a natural bias and there is a big question mark on the scientificity of the evaluation, let alone its fairness. We really feel sorry for the candidates, some with absolutely great contributions, but who lack a strong network of supporters or a well connected big brother on whom they could rely upon to spread the word (We mean the video link! ), and who find themselves outpowered by better "connected" ones. 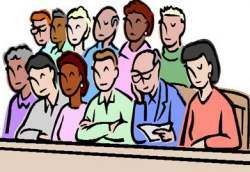 We tried as much as possible to get around this built-in problem by having the 50% jury ranking rule. All this said, going to the people through social media is worthwhile, but a formula should be found to avoid abuses and find safeguards, especially when it is a science contest. The results are out on this day of June 28, 2016 for this epic competition between more than 200 worthy participants in Algeria. Again the jury had a hard time in selecting the best six candidates after lengthy interviews with them, in view of the great quality of the 14 finalists. Congratulation also to the six Moroccan winners. We notice a gender gap and believe it is just a fluke. Indeed females did very well overall but we lost quite few of them in the final interview. Yet the full 2016 batch of the two countries is fully symmetric, and even displays an overall equal numbers of males and females. Thanks to all the members of the jury that Sirius appointed to the task of selecting the candidates after lengthy interviews with them, and thanks to the cultural section of the US-Embassy in Algiers for the tremendous work in assisting the process at all the stages. 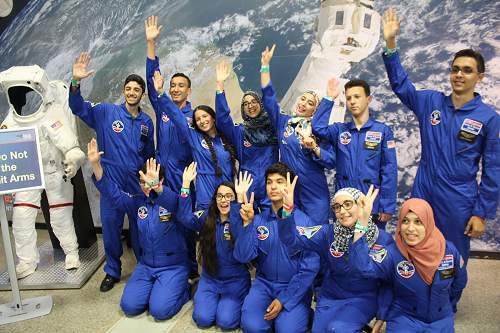 It was exciting weeks for our jury where we had the chance to see the best of our youth in action not on vain useless pursuit, but racing for science, for achievement, competing in earnest to be the best, and in full respect of the others. It bodes well for the future of Algeria and the Ummah. And kudos to the American Embassy in Algiers for the tremendous supporting help. Best wishes to the Moroccan candidates, and to our NGO partner for having undertaken a similar effort. How were the finalists chosen? We averaged the jury's rank with the online voting one. We checked the three cases of plagiarized works and only one was in the 12 top, so we took instead the thirteenth best ranking candidate. We added two extra ones "hors quota" who were ranking among the top in the jury's selection and who were fulfilling our criteria (Top 10 in the jury's ranking). This procedure has been advertized and the rationale behind it explained at length on the special page of the contest. The jury had also to interpret in the best possible way what we could mean by averaging (How to average votes and grades!) and came up with five possible answers then run computer simulations for three of them before deciding on the optimal one which turned out actually to be the simplest one, namely turning the two sets of evaluations into rankings and then averaging the two rankings. From that rule, one can understand why some less than average ranking people in the online voting might have made it to the finalist list if they have a good score in the jury's ranking; on the other hand, some modestly well ranking people in the online voting might not have made it if they were among the last in the jury's ranking. While many of you who wrote to us have been praising our work, some don't seem to accept the logic of the procedure adopted by our jury. The main problem we believe is psychological. Since the on-line candidates ranking was displayed continuously on the official site, one among the best ranking ones could feel he was nearing the nomination as a finalist, thus the tremendous frustration he will feel when the result of the averaging come out if he won't appear on it. Take now the hypothetical case where we would had adopted the full on-line voting (No consideration for the jury's results) but we would at the same time also published the ranking of the jury's vote; the defect of the procedure and the immense injustice to some would have appeared naked as some best candidates might probably have been ejected from the process in front of the viewers as it were. Take now the extreme case where a top ranking candidate according to the rigorous criteria of the jury would not have made it through the online voting, then there would be an explosion of incriminations and ill feelings from the public with no common measure with what is happening now with our rather mild critiques of the averaging procedure. Publishing the jury's votes along the online voting would indeed has been "subversive". But if nobody would have known the jury's ranking, it's "ni vu ni connu" and everybody has but to accept the only information available, namely the online voting ranking. That's one of the advantages, albeit dubious, of the lack of full transparency! The jury during the past few weeks had a hectic time: It held five video conferences, exchanged dozen of mails, performed for several weeks an herculean task of monitoring in a limited way though, social networks, in addition to investigating dozen of cases of possible fraud. All without counting the coordination meetings held with the US-Embassy in Algiers and Rabat (Videoconferences, phone calls and mail exchange). Vous avez été nombreux à nous écrire (In French) pour nous faire part de vos observations et critiques concernant la méthode de vote et notamment envers le "Online voting" que certains d'entre vous ont décrit comme "perverse". Vu que les clarifications suivantes apportées à un lecteur contient des éléments pouvant être utiles pour tout le monde, nous les reproduisons ci-dessous. "Merci Monsieur ... de nous faire part de vos remarques et doutes sur la transparence du vote. Nous savions, vu le caractère prestigieux du concours, qu'à chaque phase du processus nous allions générer des joies... et des frustrations. Il y a par définition des insatisfaits à toute sélection, mais vos interrogations sont légitimes et nous allons y répondre honnêtement, en toute transparence et du mieux que nous pouvons. - Nous avons mis en place des règles du jeu les plus appropriées possible selon l'estimation du jury et en négociation avec nos partenaires et nous les avons strictement respectés. Ils se trouvent que nos partenaires qui gèrent le site là-bas ne sont pas prêts à les publier pour différentes raisons et différentes justifications liés à la gestion du site, ce qui nous a poussé à les expliciter sur notre page spéciale. - Il y a deux types "d'irrégularités", les plagiats (nous avons été intraitable), et les abus du système de "online voting" (Qui est malheureusement Built in dans la manière de procéder). Nous avons essayé sans succès d'annuler complètement le système d'online voting avec nos partenaires se contentant d'une règle 50%-50% pour l'Algérie faute de mieux (Nous espérons avoir fait mieux qu'avec la règle 100% "Beauty contest", mais nous travaillons par consensus). Voir le paragraphe "In summary" ci-dessus sur le pourquoi nous ne pouvons réprimander ces cas. Nous avons gardé les descriptions mais avons enlevé seulement les copies d 'ecran tant pour les Algériens que pour ceux de nos partenaires. Simple exemple: une candidate épinglée nous affirme que ce n'est pas elle qui a mis une annonce sur elle, que faire, la sanctionner...? Et comment? Pour le faire de manière équitable, il aurait fallu faire une enquête sur tous les candidats mais nous n'avons pas les moyens pour cela, et au préalable, clarifier rigoureusement les "règles du jeu" ce qui nous a pas été permis de faire. - Une des conséquences du fait que nous ne gérons pas le site officiel, même pour la partie Algérienne est que: Les scores des candidats Algériens n'y sont effectivement pas (Il y étaient jusqu'a Minuit le 15 juin) malgré notre demande de les mettre. De plus, l'ordre des candidats sélectionnés affiché sur le site, ne correspond ni à celui selon les scores du jury ni a celui de l'online voting, quoique la sélection des 12+2 est bien sur exacte. Ceci nous a poussé à les poster sur cette page du concours (Voir ci-dessus). - Nous avons rigoureusement effectué la sélection sur la base de fifty- fifty! Nous avons pas pris deux candidats hors quota, mais en fait tous ceux parmi les 10 premiers du classement du jury (Qui n'apparaissaient pas sur la liste restreint après "l'averaging"), et il se trouve qu'il y en avait deux. Avec cette "Fairness rule" nous voulions corriger autant que faire se peut un défaut évident du système de sélection de "online voting" faute de la réticence de nos partenaires à l'annuler complètement et ils ont leurs arguments, et nous travaillons encore une fois par consensus). Nous ne pouvions aller au delà de cette règle, i.e. jusqu'au 15 ou 20 premiers du jury, sans porter atteinte à la cohérence du système. Voir d'autres détails sur la procédure postés sur notre site. Encore une fois, notre jury est fait de professionnels qui sont de plus de toutes les régions d'Algérie et devant Dieu et devant les hommes, nous nous portons garants de son intégrité. - Nous avons choisi 12 personnes (et non 10 comme vous affirmez) suivant le règlement, qui était déjà le résultat d'un compromis avec nos partenaires (Nous travaillons par consensus!). Donc nous avons suivi le règlement à la lettre! - Nous avons ajouté des extra candidats (Deux suivant nos critères) pour l'interview (et pas sur le quota des 12!). Voyez cela comme une prérogative du jury si vous voulez, que nous avons longuement justifié sur notre site et que nous avons appelé "fairness rule" pour une raison évidente. Nous vous avions déjà donné un exemple: Comment accepter que dans un cas extrême, un candidat classé premier par le jury opérant sur des critères scientifiques se retrouverais éjecté de la liste par une procédure plutôt stupide qui se base sur la "manipulation"- excusez moi l'expression- de réseaux sociaux, souvent non pas par le pauvre candidat (Simple lycéen ...) mais par ses grands frères, pères etc.? Cette farce se retournerait contre nous et nous nous serions déjugés. Autant se faire en tant que jury hara-kiri. Vous dites être chef scout; vous devriez au contraire apprécier notre considération pour nos jeunes candidats et notre souci d' essayer de trouver la voie la plus respectueuse et juste, sans léser personne (Les 12 premiers) au lieu de la dénigrer parce que votre candidate qui se trouvait parmi les 25 n'a pas été retenue. Si en fin d'analyse, vous n'êtes pas convaincu, acceptez que vous n'êtes pas le jury. - Non, le "public" a participé à concurrence de 50% exactement, mais nous avons exercé en notre âme et conscience et de la meilleure manière que nous avons pu, "some damage control"! Merci d'avoir partagé vos vues avec nous. Please disregard any result heard or seen, or any supputation concerning them as long as it is not on the R2S official site with approval of our jury. As of Friday afternoon, no result has been published yet. We are sorry for this delay beyond our control. It has been brought to our attention by several people that the order of the candidates in the online voting for the Algerian page is quite different from the page at midnight of the 15th of June and the scores are no more quoted. Lacking any proper explanation, but for whatever reason this occured, and on the basis of online voting (What you see is what it is! ), our jury used the latest publicly available page before the closing of the votes at midnight to deliberate and that's what the selected 12+2 candidates list sent to both Embassies reflects and are final. The deliberations of the Algerian jury are over and the results have been sent to both the US-Embassies in Algiers and at Rabat at 2:00 am on Thursday 16, 2016, that is two hours after the end of the voting. The 12+2 finalists will be announced by our partner on the R2S site first. 12/20 average on the transcripts of the second trimester is an absolute minimum, but a 14 and more average will be looked upon favorably by the jury, while strong grades in science and math is a strong requirement. "Avez-vous déjà rêvé d'être un astronaute?" L'Association Sirius d'Astronomie annonce le lancement d'un concours scientifique prestigieux en partenariat et avec le support financier du Service Culturel de l'Ambassade des Etats Unis à Alger. 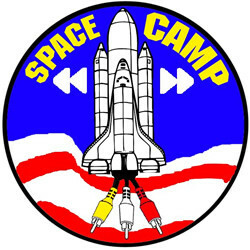 Ce concours enverra six étudiants doués en science, maths, technologie et maitrisant l' anglais au Camp de l'Espace à Huntsville aux Etats-Unis pendant une semaine cet été. Parallèlement à cela, la même compétition sera organisée au Maroc par la "Moroccan Scientific Community ", qui à son tour désignera six lauréats. 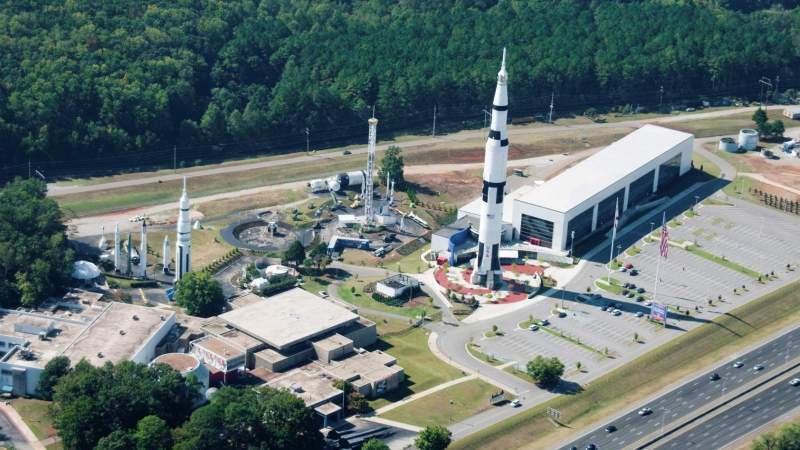 La délégation composée de 12 étudiants des deux pays se dirigera ensemble vers l'Académie de l'Espace au U.S. Space and Rocket Center à Huntsville, Alabama aux USA. La formation intensive dans ce camp est véritablement une expérience unique tant intellectuellement, psychologiquement et aussi d'endurance physique. Ils s'entraineront aux technologies spatiales à bord notamment d'une navette spatiale de la NASA, à des exercices en état d'apesanteur ainsi qu'ils réaliseront de véritables mini-fusées. Le concours s'ouvrira officiellement le soir du 19 Avril, et acceptera les candidatures jusqu'au dimanche 22 mai 2016. Pour les autres étapes, voir le "timeline" sur le site du concours. 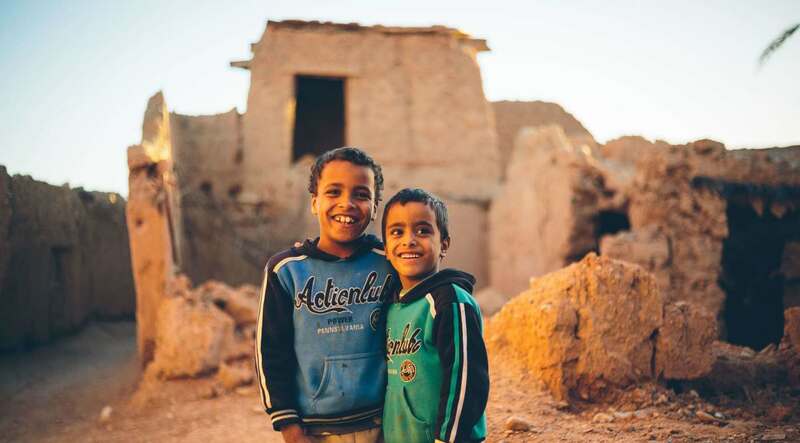 تعلن جمعية الشعرى لعلم الفلك انطلاق مسابقة أخرى موجهة هذه المرة لجميع ثانويين في الجزائر التي تنظمها جمعيتنا بالتنسيق والتمويل من طرف المصلحة الثقافية للسفارة الأمريكية بالجزائر العاصمة. سترسل هذه المسابقة ستة طلبة متميزين في العلوم، الرياضيات، التكنولوجيا والإنجليزية إلى مخيم الفضاء بـ Huntsville بالولايات المتحدة الأمريكية لمدة أسبوع هذا الصيف. وبالموازاة ستتم نفس المسابقة بالمغرب الشقيق المنظمة من طرف المجتمع المغرب العلمي التي ستعين بدورها ستة طلبة فائزين من المغرب. سيتجه الوفد المكون من 12 طالب من البلدين نحو أكاديمية الفضاء بأمريكا. هذا المخيم هو عبارة عن تجربة فكرية، نفسية وجسدية صعبة في مركز الفضاء والصواريخ الأمريكي بـ "هانتسفيل" (Huntsville) بولاية ألاباما الأمريكية، وذلك للقيام بتدريبات في تقنيات الفضاء على متن مكوك فضائي تابع لناسا وكذا تدريبات في حالة انعدام الجاذبية وتصميم صواريخ مصغرة حقيقية. الذي سيفتح رسميا مساء يوم 19 أفريل والذي سيقبل الترشيحات إلى غاية يوم الأحد 22 ماي 2016 . المزيد من التفاصيل ستعطى في فقرة خاصة يوم اختتام مسابقة سيرتا علوم 8 بقصر الثقافة مالك حداد يوم السبت 23 أفريل المقبل، فكونوا في الموعد.